IF you are of “a certain age” you just read that title in the style of Fat Albert. Which is kind of how I felt on the Sunday of the weekend’s double header at Haigh Hall. Saturday wasn’t too bad, the standard rubbish start followed by working my way back through the field while genuinely having fun in the super loose, loamy earth. Getting sideways drifts through all the corners on the descents and generally having fun. 4th place, a good workout and some great skills work. Ace. Sunday’s course followed much the same route, with a few extras and a loooooooong flight of steps to run (hobble) up. Weirdly I did better running (hobbling) up those steps than I did anywhere else on the course. OK I expected to feel yesterday’s effort on my legs a bit (and I did…) but I just rode really badly. Missing lines, not letting the bike move around when I should have and not wrestling it under control when it needed it. 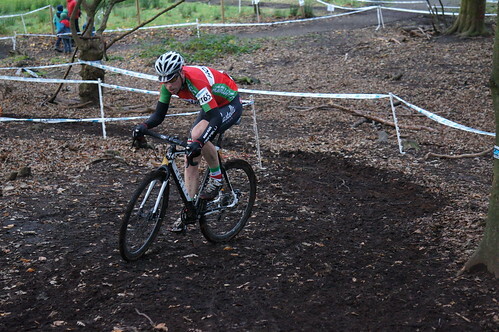 A good few crashes and stalls in deep mud meant I was miles off the pace. Even if I’d been able to match the fast lads on power I just couldn’t get the technique-requiring bits ridden properly. 8th in the end. Whatev’s. 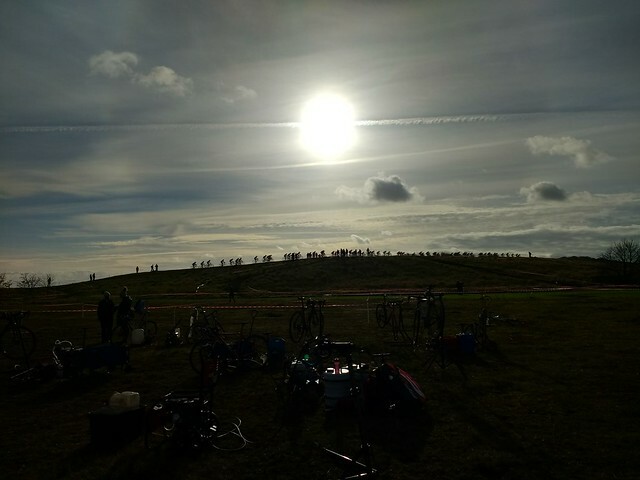 The course was brilliant, fast flat bits, short sharp climbs,s a few little descents to fling yourself down, off camber bits (right outside the sign on building, so you always had an audience for the tricky stuff…making for a great atmosphere) and several different types of mud. Yep, different types of mud. 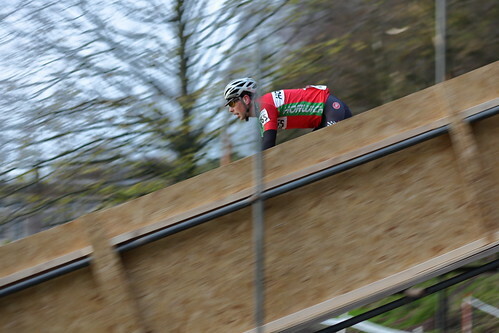 Some “catch you out” slidey stuff on the flatter, grassier sections, some “clog your bike up” stuff on the swoopy up-down bits round the back of the course and even some stodgy “make it hard work” stuff on the climbs. Brilliant. It remained all rideable too, which made it even better. 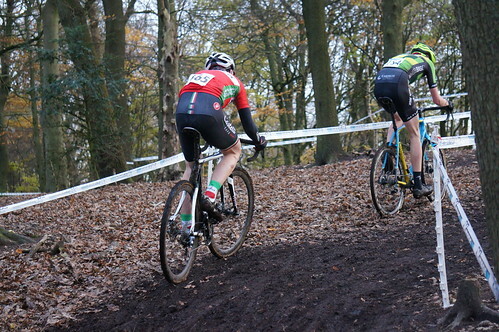 Unsurprisingly, the race itself was really good, with different sections suiting riders strengths/weaknesses so people would get gaps/close up/overtake/get dropped etc as it progressed. No mechanical issues for me this week, with bike changes taking place just to make sure I didn’t knacker anything drivechain related by riding it with too much mud stuck in the mech. No brilliant result either, but I felt good and rode quite well (for me, in fact I found myself genuinely enjoying sliding the bike around a bit!) with no crashes, just a few minor mistakes allowing a gap to Martin to open up which meant I finished in 5th. I also (accidentally!) shoulder barged a marshal as he tried to repair a bit of course tape on one of the tighter corners mid-race. Apologies to him for that! *GSK actually make antibiotics there (I think…) so it anything, it’d probably be the cleanest, most sterile race course ever!